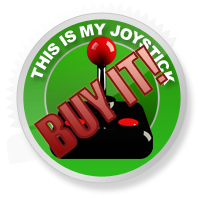 Review: Sam and Max Season 3 Special Review - Page 2 of 4 - This Is My Joystick! The Tomb of Sammun-Mak follows on seconds after the conclusion of The Penal Zone with both Sam and Max having defeated General Skunk-ape and discovered skeletal remnants of each other in a tomb underneath their building on Straight and Narrow. Oh yeah, this game knows how to deal out the weird! This has clearly spooked the Freelance Police, who are almost (ALMOST!) lost for words, however, as they later discover, these are not their remains from a corrupted future, but rather they belong on the protagonists of this episode, their great Grandfathers Sammeth and Maximus. 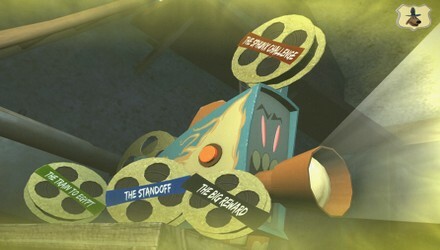 As Sam and Max look deeper into the tomb, Max finds a projector and a series of reels that detail the final adventure of their ancestors from the 1900′s, and their involvement with the Devil’s Toybox that Max used in ‘The Penal Zone’. One of the first things you’ll notice is that you can play this adventure in any order you choose, giving the player the chance to choose between one of four different reels, each of them taking place at different points of the adventure. Eventually you will need to alternate between these reels in a certain way in order to progress the story; however I opted to begin the game by selecting the first reel so as to keep the story in order. Ultimately though, it is entirely up to you what you choose to do. The choice of reels is yet another innovation Telltale have introduced to the Season, which allows you to structure the narrative of this episode as you see fit, essentially making the adventure more personal to you than ever before. Once you’ve made your choice, the opening credits will run and then your adventure will begin. As I alluded to in the review for the Penal Zone, if you’ve played previous seasons of Sam and Max, you will have the advantage in recognising certain characters in The Tomb of Sammun-Mak. Obviously, if you’ve not played the games before, certain references will more than likely go over your head but it is not important to the story for you to know the previous relationships as this is still a self-contained story. Telltale have once again done an admirable job in keeping this episode individual, also making sure that even if you haven’t played Penal Zone, you could play Tomb and still be able to follow what’s going on. The environments in Tomb are very separate from those in The Penal Zone being as the episode is set in Egypt. While Season 3′s first episode is very sci-fi in nature, Tomb seems more akin to the likes of Indiana Jones. This already creates a nice balance in the season, keeping things very fresh for the player. 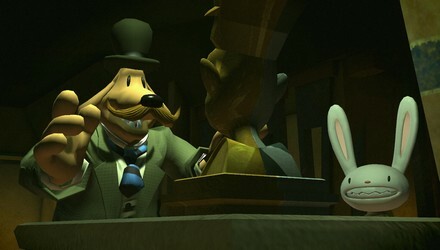 Even the ancestors of Sam and Max have been given a look that makes them more suited to the episodes events with Sammeth brandishing a moustache and bowler hat and Maximus actually wearing some clothes, even though they more closely resemble rags! I did find it a little strange that Sammeth and Maximus use the usual slang of their descendants in this time period when they could have adjusted more appropriately based on how people lived in the 1900′s, however the whole cast of characters accompany them in this, so it doesn’t strike me as out of the ordinary. However, Telltale are setting this episode in the past and so because of this, sometimes I found it difficult to accept the olden day Egypt (despite the set pieces) even though it works within context of the game. It’s certainly not a detriment to the episode; I just felt that perhaps more could have been done to maintain a sense of authenticity. Truthfully, I thought it would be hard for Telltale to do anymore with Sam and Max after The Penal Zone and how much they reworked the franchise already, but it seems, at least for the time being, their well of ideas is far from dry. The Tomb of Sammun-Mak is even more innovative and interesting than the Penal Zone, as it would seem to appear Telltale have been saving their best work until now. As you might expect, with all these new additions, this episode does play quite differently to the Penal Zone, despite the very same control interface used in all episodes of The Devil’s Playhouse. The new TOYS offer some unique ways to solve puzzles, as does the alternating between reels, yet this is still a relatively straight forward episode once you’ve got your head around what Telltale have done and how it all works. 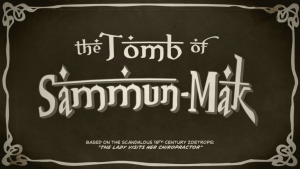 The concept behind ‘The Tomb of Sammun-Mak’ is innovative, fresh and exciting and it not only gives you a clearer idea of the direction of this season but also provides some backstory for Telltale’s vision of Sam and Max. This is a truly brilliant episode in ‘The Devils Playhouse’ and, if the ending is anything to go by, the third episode is going to blow our minds (if you’ll excuse the pun!). For now, at least, it seems as if Telltale can do no wrong and will be able to maintain this break-neck pace with the season as this is another mammoth success for the Freelance Police and, to my way of thinking, the best episode of Sam and Max Telltale Games have done to date.